The Viking Yacht Company proudly introduces Valhalla Boatworks, a new company dedicated to designing and building high-performance center consoles with the same Viking quality, craftsmanship and expertise that has led the marine industry for 55 years. It's been busy for the Viking Yacht Company. 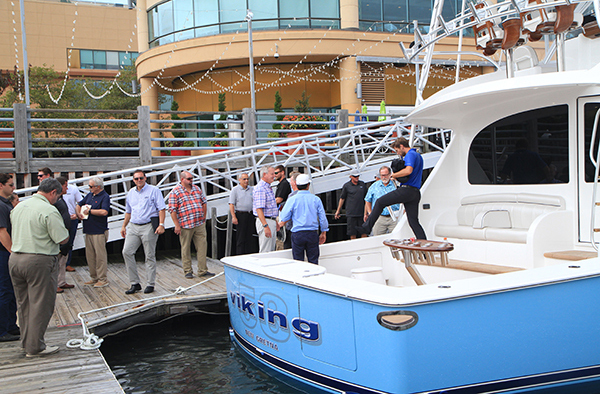 Our team welcomed the world's best dealer network as well as customers and vendors to the annual Viking Dealer Meeting, Sea Trial Event and Gala Dinner based in Atlantic City, New Jersey earlier this month. After a friendly welcome dinner Monday night, Tuesday started early as Viking President and CEO Patrick Healey kicked off the meeting with his forecast of the upcoming year including new product introductions, updated technology and the continuous philosophy of building a better boat every day. A host of speakers, including Bob Healey, Jr., and Bob Healey, Sr., spoke to the packed room. After the classroom portion of the day was complete it was time to get hands-on with sea trials of the new 58 Convertible. The pea-soup-thick fog couldn't hold this baby back as accolades were heard up and down the dock. The weather didn't hamper the amazing cocktail party with well over 200 people taking part in a succulent seafood bar and wonderful company. The ballroom dinner was a festive event that topped off the day. Docks were busy both Wednesday and Thursday with eager customers and industry media sea trials. Plenty of Viking management and staff were on hand to field questions and discuss the various features of each model. By day's end it was unanimous that everyone's experience was completed with a satisfied smile. 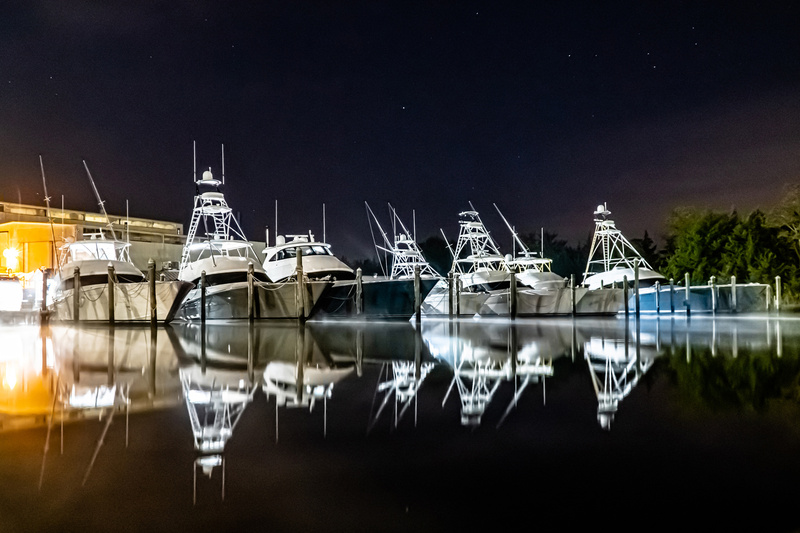 Copyright 2019 Viking Yacht Company All Rights Reserved.